Bookmans Midtown Backroom Book Club Bookmans Entertainment Exchange Midtown 3330 E. Speedway Blvd. 21mar6:30 pm8:30 amBookmans Midtown Backroom Book Club6:30 pm - 8:30 am Bookmans Entertainment Exchange Midtown, 3330 E. Speedway Blvd. 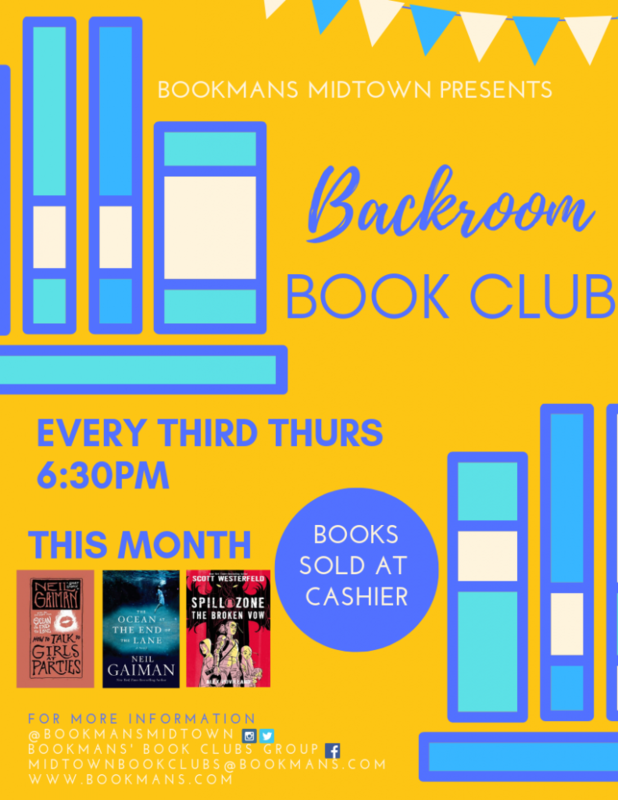 Join Bookmans Midtown every Third Thursday at 6:30 PM in our basement to discuss each month’s read with the Backroom Book Club! What we’re reading this month? All books available at the cashier.